Image Size: 8 X 14 in. My whole heart for my whole life . 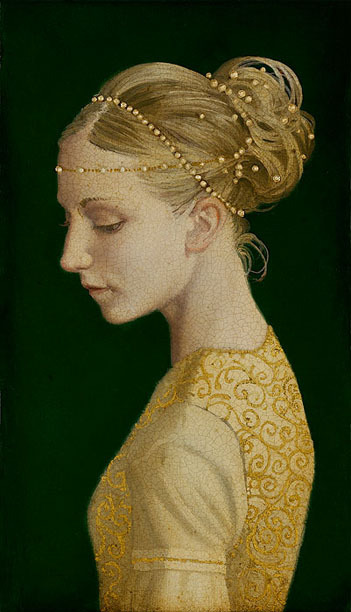 . .
Once upon a time, the boundless imagination of master storyteller James C. Christensen created a series of paintings under the guise of an obscure (and fictitious) 15th century Flemish painter known only as the Master of the Enoch Altar Piece. This enigmatic collection became known as “Saints and Angels” for its similarities to the devotional art of that era, as well as its portrayals of largely forgotten Christian saints.